On an early summer morning, the unthinkable happened at the headquarters of Thorsport in Sandusky. The NASCAR Camping World Truck Series Team suffered a major fire that destroyed a large portion of their 100,000 SF facility. Shortly after the fire had been extinguished, Janotta & Herner had its team of Engineers onsite to ensure that the remaining building was structurally sound. At the same time, our field crews worked with Thorsport’s team to put the building back into operable condition. Our building teams’ quick response time to the incident allowed us to assess the situation for a solution almost immediately. This saved Thorsport a substantial amount of time during the early stages of their reconstruction process, allowing them to move more quickly towards the rebuilding of their space. 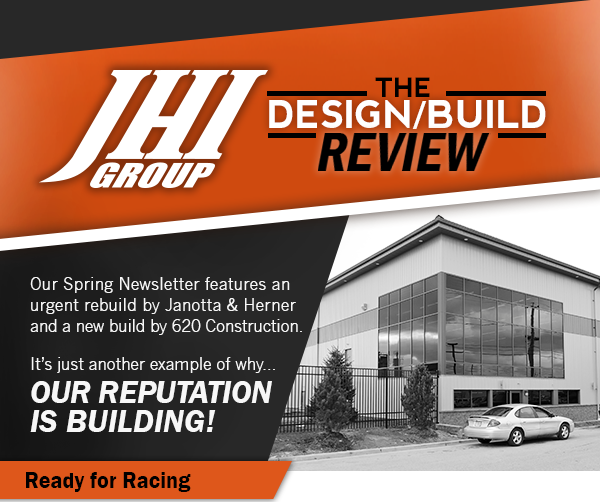 After seeing our quick response to the fire, Thorsport turned to Janotta & Herner to ensure that their facility was rebuilt before the start of the 2017 Race Season. Working with the major home-improvement chain, Menards, (a major partner of Thorsport) Janotta & Herner worked to erect and rebuild the eastern wing of the building. In less than seven months, the site went from smoldering ashes to a completed facility. The Clear-Span Building Addition is now used by Thorsport Racing to assemble and store their high-performance racing trucks and features a basement that is used for additional storage. The quick response by Janotta & Herner and Menards allowed the owners to occupy the building before their deadline of the start of Race Season. The team at 620 Construction certainly learned some moves while working on the recently completed Master Kim’s College of Martial Arts. Located in Medina, the 10,000 SF facility provides a welcoming environment where over 300 students learn various forms of martial arts. These students practice their skills in two large “Dojangs”, or Training Rooms, that the building features. In addition to the Training Rooms, the facility also includes a Kitchen, Daycare Room and Library, offering the complete cultural experience for students. Although this building’s unique style was a first for 620 Construction, our building team worked together to develop and construct a modernized building that shared the resemblance of an ancient East Asian Dojo. It is without a doubt that the new location will serve as a welcome addition to the Medina community.